There are 4 kinds of fats — saturated, polyunsaturated, monounsaturated, and trans fats — and some kinds are better for you than other. Some are just plain bad. All naturally occurring fats exist as a combination of saturated, polyunsaturated, and monounsaturated fats, but they are classified by the type which they contain the most of. Your best options are unsaturated fats: monounsaturated and polyunsaturated fats. These fats can lower your risk of heart disease by reducing the total cholesterol and LDL (bad) cholesterol levels in your blood. One type of polyunsaturated fat, omega-3 fatty acids, are especially beneficial to your heart. Omega-3s appear to decrease the risk of coronary artery disease. They may also protect against irregular heartbeats and help lower blood pressure levels. Omegas are also great for your skin, hair, and nails. Fat is Important! Eating these healthy fats is good for you and in fact vital to health; the healthy fats do not need to be avoided! Healthy fats keep you feeling full and satisfied longer and therefore keep you from snacking, grazing, and overeating.. Adding some healthy fat to each meal is a great way to make your meal more satisfying and fulfilling. Watch out for Hydrogenated Fats! Hydrogenated fats are unsaturated fats that that have gone through a chemical process that has turned them into bad, saturated fats, in order to give them a longer shelf life, add “taste”, or to harden them (like in the case of shortening). On labels you will often see “trans fats” or “partially hydrogenated fats” or “partially hydrogenates oils”; all of these names mean the same nasty thing and they should be avoided. Cholesterol is a soft substance produced by the liver. Cholesterol is necessary for the digestion of fat, as well as the production of hormones. Cholesterol is also in some of the foods we eat that are animal-based. Cholesterol becomes a problem when too much of it is consumed, it raises the total amount of cholesterol in the blood, and begins to build up on the walls of blood vessels. Because Americans tend to eat diets with large amounts of animal-based foods, we consume more cholesterol than we should. There are different kinds of cholesterol, classified by how they travel through our body. To move through our body, cholesterol must combine with a fat or protein. These combinations of cholesterol, fats, and proteins are called lipoproteins. LDL is the type of lipoprotein that has been linked to coronary artery disease, because it is the type which tends to stick to blood vessel walls. Overtime this build-up causes blood vessels to become blocked. Healthy levels of LDL are low. And, LDL can be lowered by losing weight (if you are over weight) and by eating a healthy diet. HDL carry cholesterol away from the body and back to the liver; they free LDL from the artery walls. Therefore, high levels of HDL are good and protect the arteries. HDL can be raised through regular exercise, stopping smoking (if you smoke), losing weight (if you are over weight), and reducing your overall fat intake. This recipe has is animal meat free, and instead has a "meat" made from ground walnuts and spices. The walnuts have those healthy fats, plus numerous other health benefits. 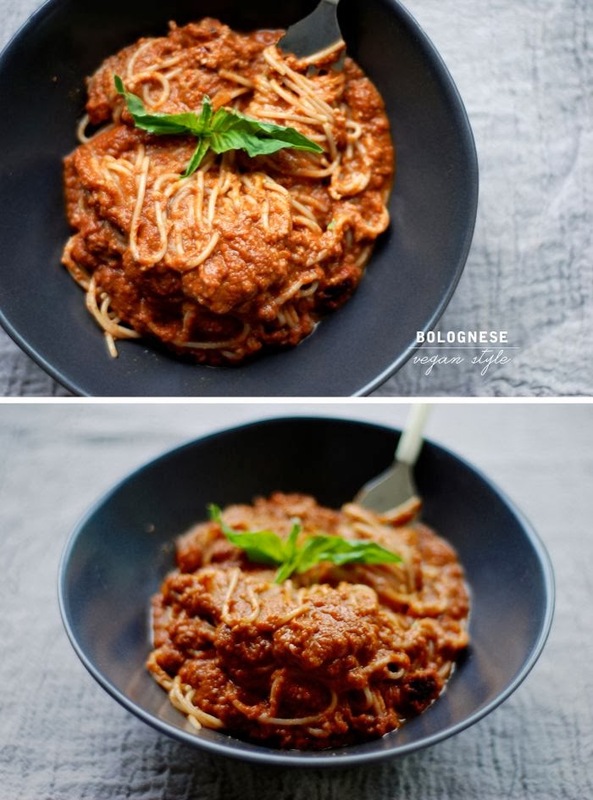 I like to avoid pasta, so I like this over zucchini noodles instead.